A top official at the U.S. Federal Reserve said Tuesday that weak bond yields in other countries are hurting U.S. long-term bond yields. Still, Boston Federal Reserve President Eric Rosengren expects Treasurys to eventually start inching higher. Investors are watching declining long-term yields after a stock tumble Friday and an inversion of the so-called yield curve in U.S. bond markets. That occurs when short-term rates surpass longer-term yields. That in turn hurts the profits that banks get from lending. It’s considered a recession warning sign. 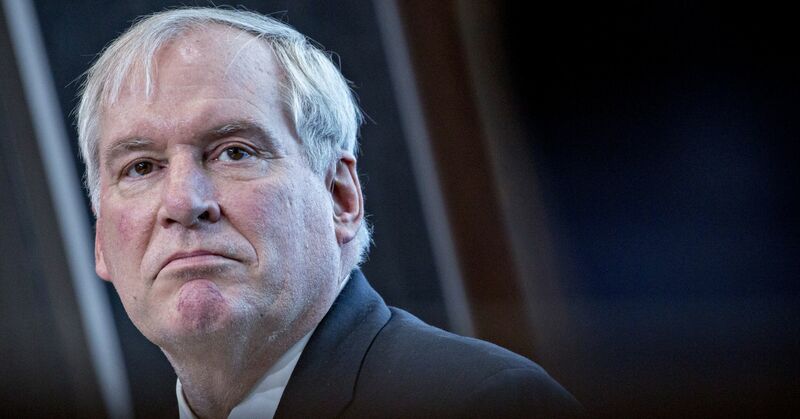 Rosengren said long-term bond yields are falling in a number of countries. He cited as an example Germany’s 10-year bond yield, which is close to zero. Slowing economic growth in Europe and Asia is contributing to those declines, he said during a panel discussion at the Credit Suisse Asian Investment Conference in Hong Kong on Tuesday. Bond yields decline when bond prices rise. “I think there’s a lot less risk in the United States economy than there is in the rest of the world, but those lower yields are in part pushing down yields in the United States as well,” Rosengren said. He joined former Fed chair Janet Yellen in taking a seemingly unworried view of the inverted yield curve. Yellen pointed out that while the inversion does not suggest there will be a downturn, it could signal the Fed may at some point need to cut interest rates. On Friday, the yield on the three-month Treasury bill surpassed the rate of the 10-year note for the first time since 2007. It spooked markets, because a yield curve inversion traditionally means investors have become concerned about a future downturn. Rosengren also said that the situation facing the U.S. economy now is different from the past when the Fed would aggressively raise rates to subdue rising prices. “So we’re not fighting inflation in the way that caused many of those correlations in the past,” he said. The Fed decided last week to hold interest rates steady and indicated that no more increases will be coming this year, in a sharp dovish turn from policy projections in December. The U.S. central bank’s Federal Open Market Committee indicated in a post-meeting statement it would remain “patient” before adopting any further rate increases. Asked if he could envision the Fed cutting rates, Rosengren said the U.S. economy would have to take a hard turn south, which he said is not expected. 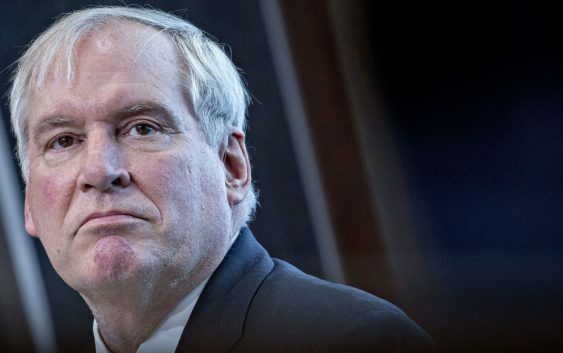 “What I would have to see is a significant slowdown in the U.S. economy, much slower than what we’re anticipating, see that the employment numbers were much weaker than we’re seeing,” Rosengren said. “Our unemployment rate’s at 3.8 percent, by historical standards that’s a pretty low unemployment rate,” he added.